In the past, having a neurological injury which left someone with quadriplegia was a life sentence. With research and developing technology has emerged new hope for people left with minimal use of their arms and legs after an event such as severe stroke or spinal cord injury. Current applications are combining the use of virtual reality and electrical signals from the brain to increase people’s function and potential through brain-computer interface (BCI). In light of the upcoming Cybathlon as well as BCI Meeting 2016, I would like to highlight a company creating much opportunity through research and development. g.tec is a biomedical engineering company that both creates products and conducts research for BCI. While many of the company’s products are inspiring and impressive, it is their BCI research system which is brilliant. In a BCI system, a person is able to control a target by thinking, and thus using the electrical signals from their brain which are converted into electrical signals which a computer can detect and use to perform tasks. This task can either be something on a computer screen such as a game or computer application, or a robotic device which is able to pick up these signals and move in response. Much like our bodies can use our brain as the command center to tell us to pick up a pen using our left hand, a BCI system can potentially do the same, replacing a biological hand with a robotic limb. In order for someone to control a target with their brain, there must be multiple working components. A person wears a cap with electroencephalography (EEG) electrodes, and can use motor imagery to plan a task. The electrical signals in the brain which occur while the person is planning this activity are picked up up by the EEG electrodes, amplified, and converted to electrical signals which the computer system uses to carry out the task. It is an incredibly complex and amazing feat to connect biological and computer systems seamlessly to carry out a task. As the g.tec website elaborates, the electrical conversion from human brain to computer leads to a number of amazing applications. There is, for example, a motor rehabilitation system where a system is controlled by thought directing virtual hand activity, allowing users to control a prosthesis, wheelchair, or virtual reality environment with their mind. In essence, a person can think that they are using their right hand to spell out a word, and the computer spells out this word in response. Another application of BCI which g.tec is working toward researching is motor rehabilitation through virtual limbs. In this system, a user imagines a limb moving, and is able to visualize this limb in virtual form on a screen. In essence, this system would allow someone with left sided paralysis after a stroke to visualize moving their left arm on a screen. This is incredibly valuable for recovery from a neurological event such as stroke, where decreased activity in the brain of controlling a limb can lead to permanent difficulty of extremity control. “Use it or lose it” unfortunately can prove to be an accurate description of limb use after a debilitating stroke. While this technology is still emerging and by no means has reached its full potential, g.tec presents us with a diverse platform for research and development of products which will have a huge impact on those who are affected by stroke and other neurological injuries. Anyone who has observed someone with such an injury understands the frustration, disappointment, and loss of independence that such an event brings. 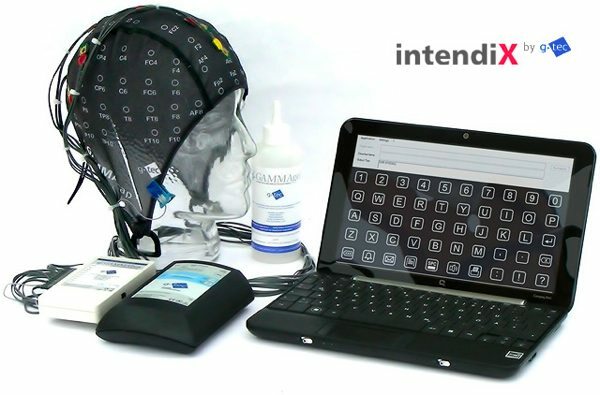 The BCI research system is just one of many groundbreaking products that g.tec is developing. Their site outlines many more products which perform a variety of functions, from cortical mapping to assisting people with communication limitations. For those with neurological injuries which affect the use of both their arms and legs, options can be limited for assistive devices to help with ambulation. Those with paralysis in their legs who still have control of their arms can use their upper extremities to assist with balance or propulsion such as in wheelchairs or more advanced robotic devices. Those with loss of control of both upper and lower extremities, however, such as in the case of cervical level spinal cord injuries or diseases such as ALS have much more limited options. Even if a device were to allow a quadriplegic person to stand, it would be difficult for them to advance their movement. This is part of the reason why the BCI exoskeleton developed by Korea University and TU Berlin is so groundbreaking and amazing. An EEG cap allows the user to focus on flickering LED lights, each at a different frequency with a different command. The commands are: walking, turning left, standing, turning right, and sitting. A visual focus on one of these commands by the user is received by the EEG cap and changes the action potential to trigger a response for movement by the exoskeleton. This mirrors the response of muscles in our own system, it is the change in voltage which causes the nerves to send signals to muscles to contract for desired movement. 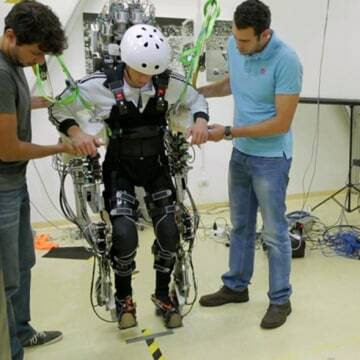 Truly, this exoskeleton is brilliant in the research and innovation behind the product. Please read the full paper that was published for the hard work and consideration that went into this project. While this is a research phase of design, hopefully this is a viable product that will become available to the general public soon. It always seemed so far away that we would be able to control our environment with just our brains, but as our brains produce electrical signals, it was only a matter of time that these could be converted for use in technology. Muse by Interaxon is a brain-sensing headband which uses EEG’s to detect changes in brainwaves which are meant to convert to digital signals. This product features 6 sensors in the headband, and using a tablet or PC the changes in brainwaves can be monitored for mental acuity and relaxation exercises. In a time when our brains can easily fatigue from the constant multitasking and refreshing of our technology at hand, this is something that can prove very valuable to allow us to improve our concentration and get feedback should we lose our focus. Future implications given on the website include controlling music, playing games, and changing home environments. Home units can be pre-ordered now for $299. These headbands come in black or white, and include a Calm app and free basic software development kit.